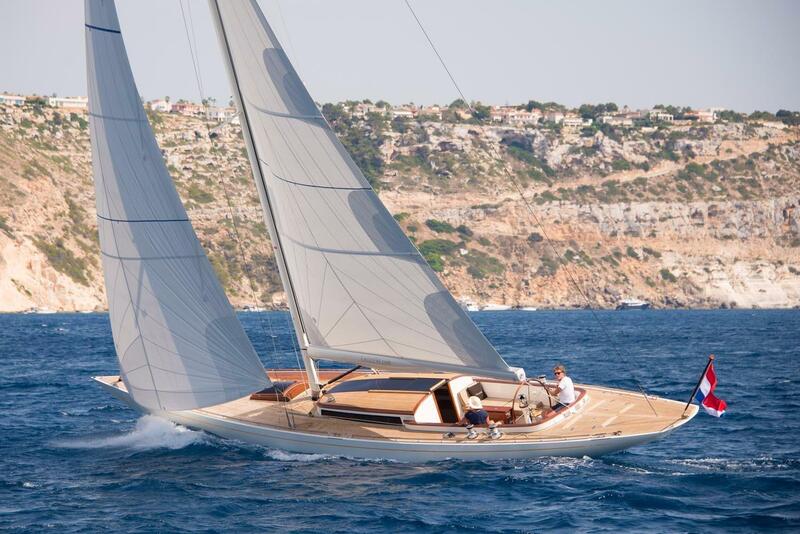 This listing is for a new boat, built to order from the Leonardo factory in The Netherlands. 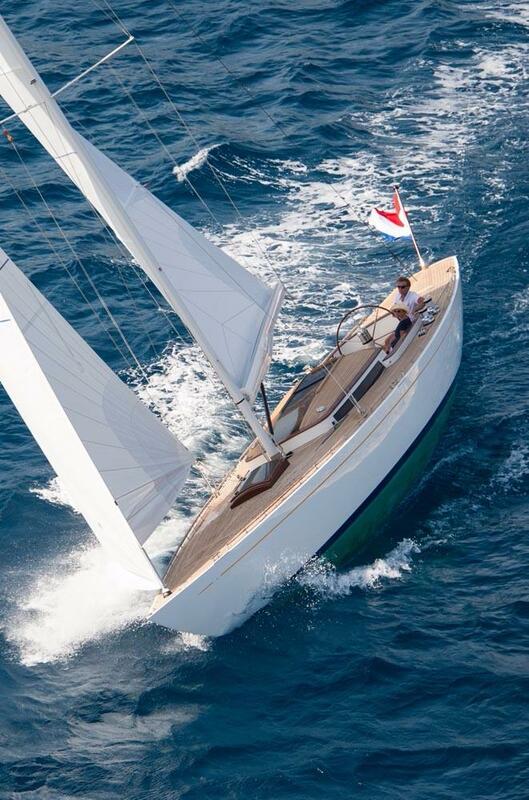 The Eagle 54 is designed in close cooperation with Hoek design. 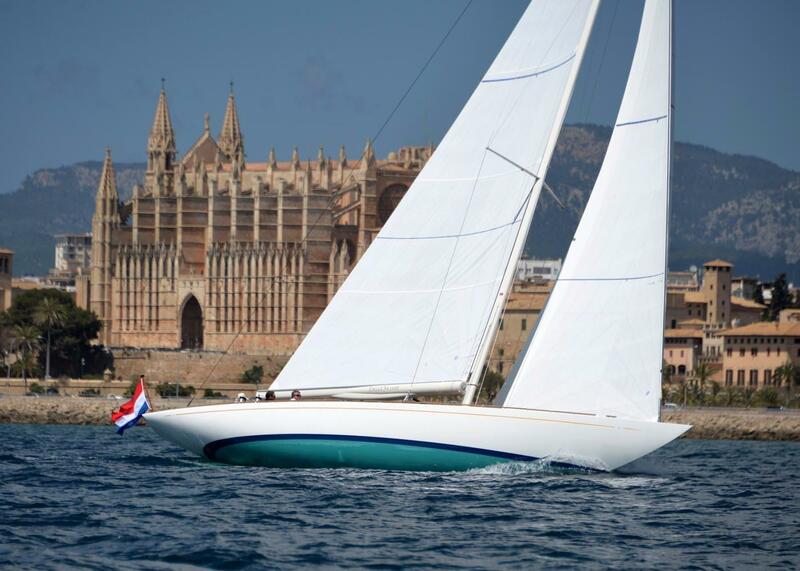 Founded in 1986 by Andre Hoek, Hoek Design is one of the world’s leading offices for naval architecture. 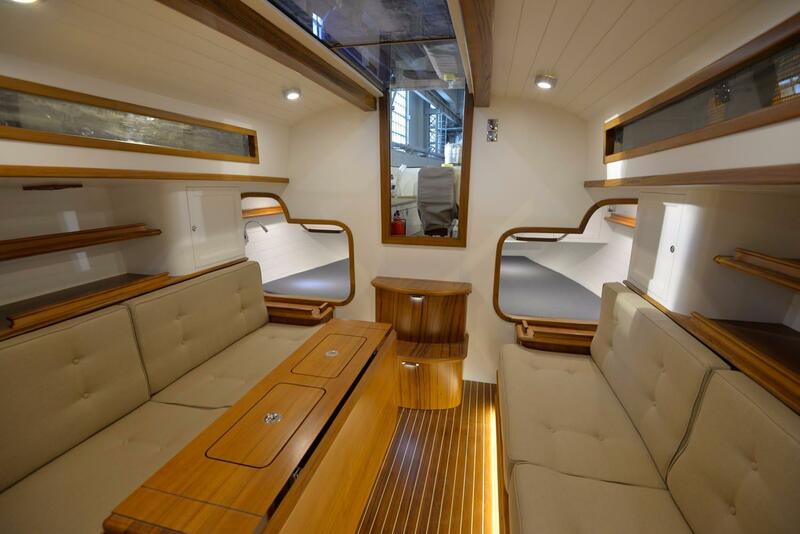 The 54 will offer the same spacious cockpit as the Eagle 44, but where the Eagle 44 is a true daysailer, the 54 will provide more for a longer stay onboard. Needless to say that with size comes more speed and comfort. 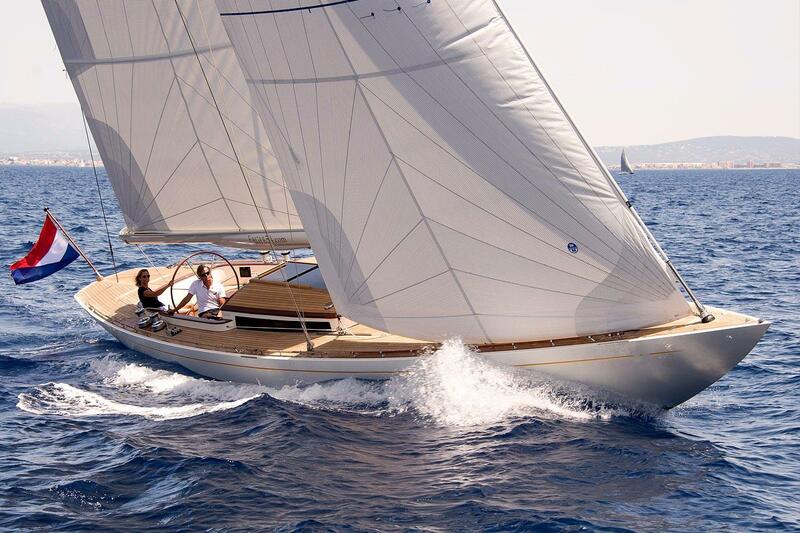 As you would expect from Leonardo Yachts no compromises on beauty and elegance were made in the design. 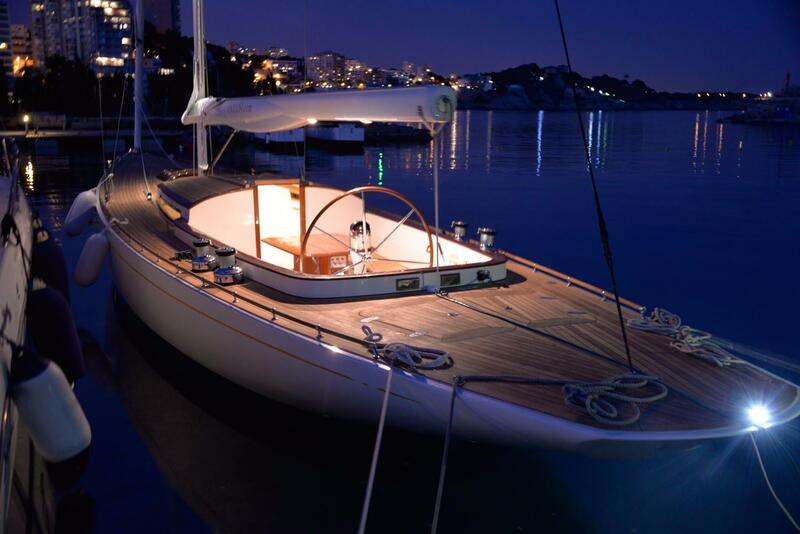 The 54 has elegant, classic lines combined with modern features and a modern underwater ship. 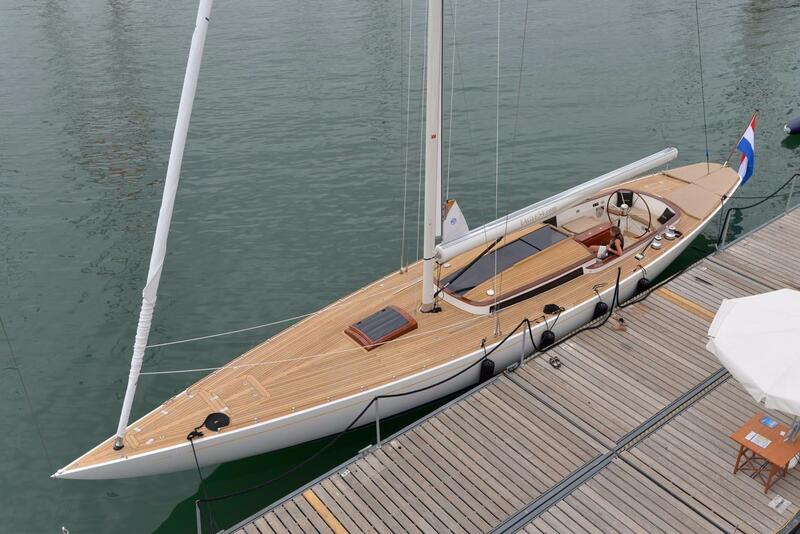 The boat is designed with shorthanded cruising in mind. 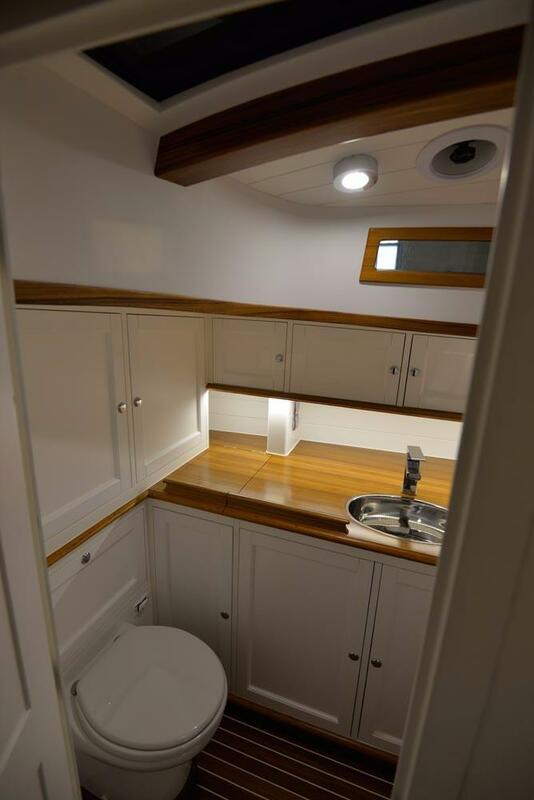 There are two interior options, one with the galley and the heads located near the cabin entrance and the other with the heads and galley located more forward. This second layout features two additional pilot berths. 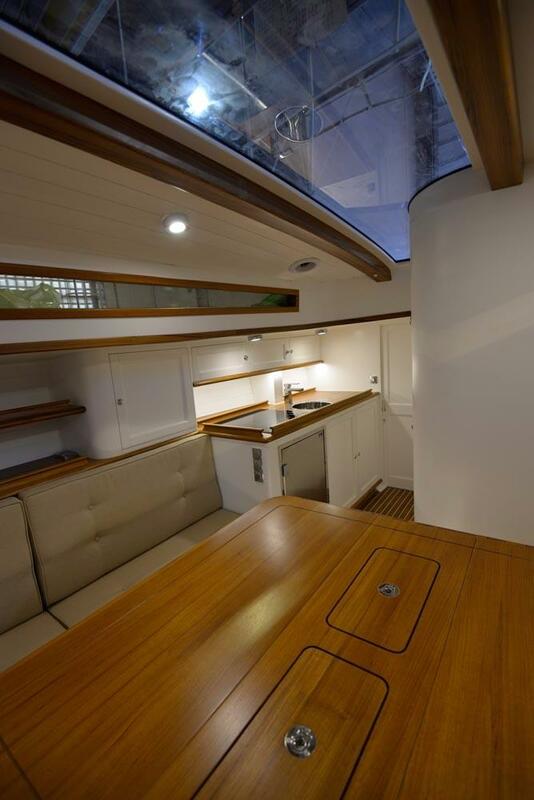 Both layouts feature a grand saloon with the owners berth located near the bow. 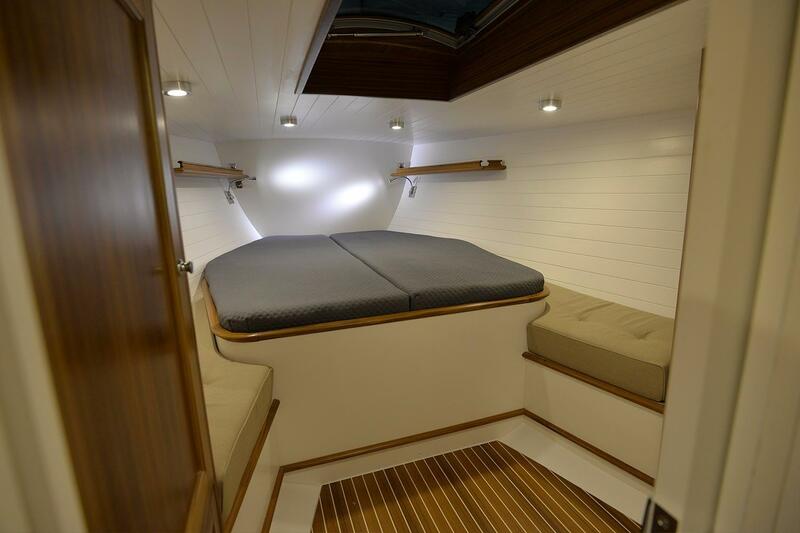 As the 54 will be a semi custom boat owners can decide upon the interior styling. 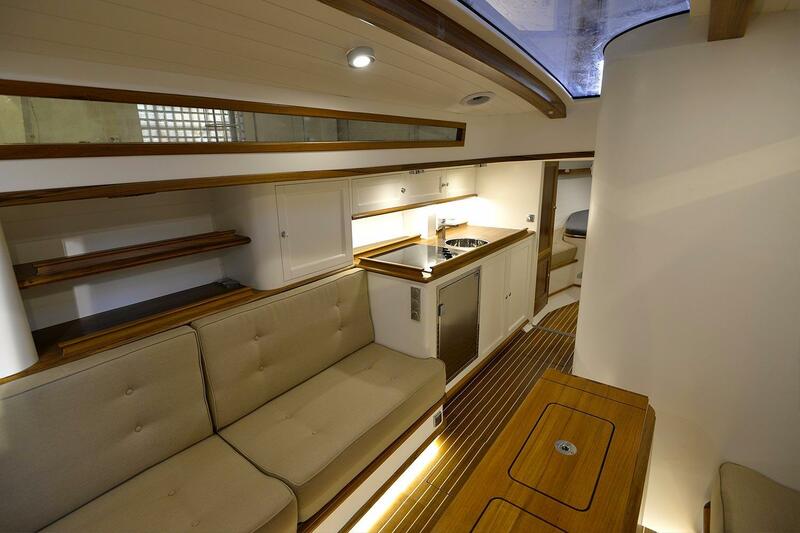 Standard the interior is bright white with beautiful crafted teak joinery details. 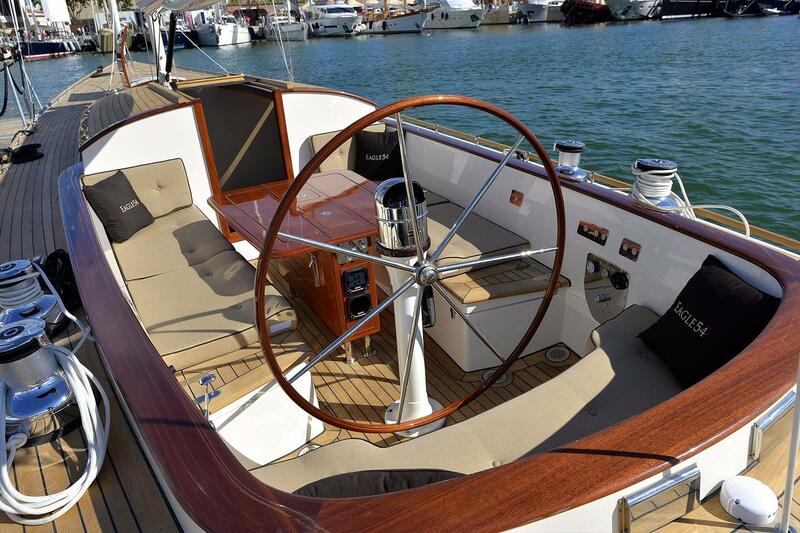 With halyards and the jib sheets running below the all teak deck the Eagle 54 will have an ultra sleek deck layout. 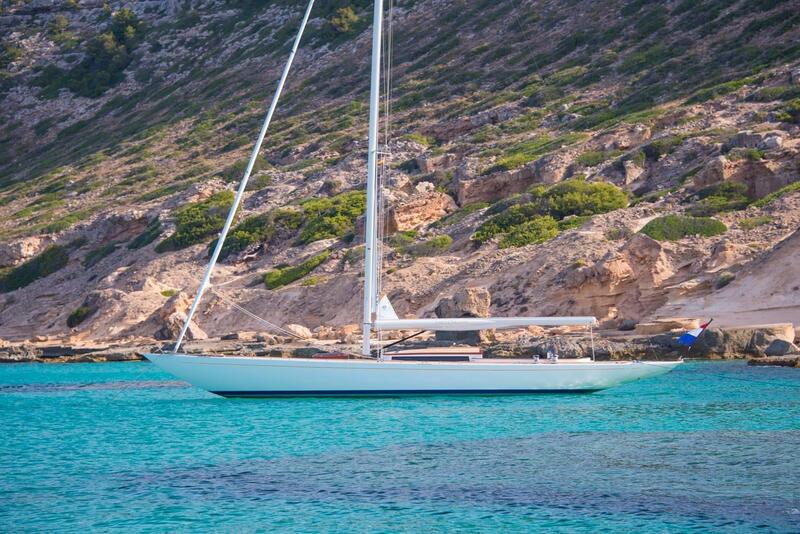 For ease of handling the jib winches are positioned within reach of the helmsman. Just forward of the jib winches the two halyard winches that double as gennaker sheet winches. 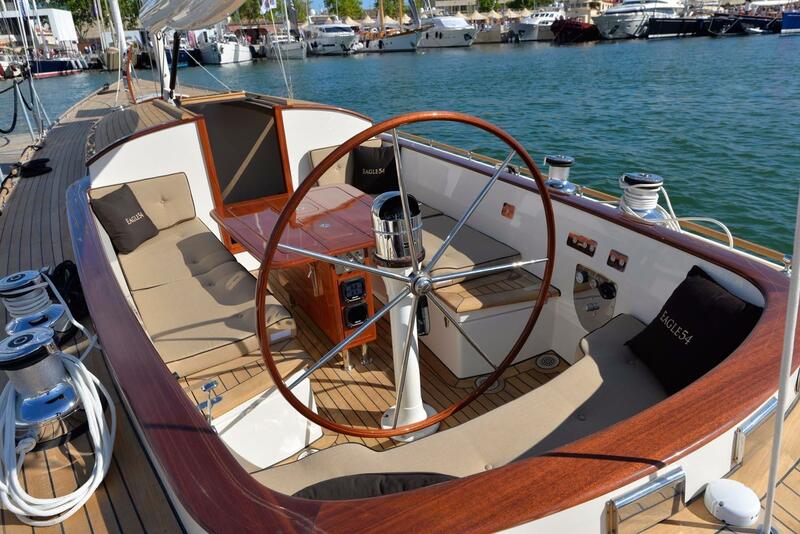 The halyards tails disappear neatly in the cockpit coaming. 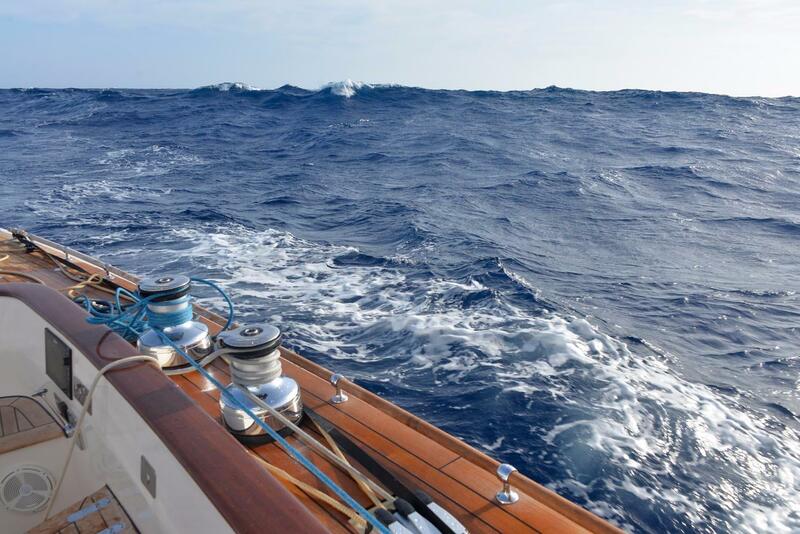 A captive winch mounted below decks allows the mainsheet to be trimmed with the push of a button. 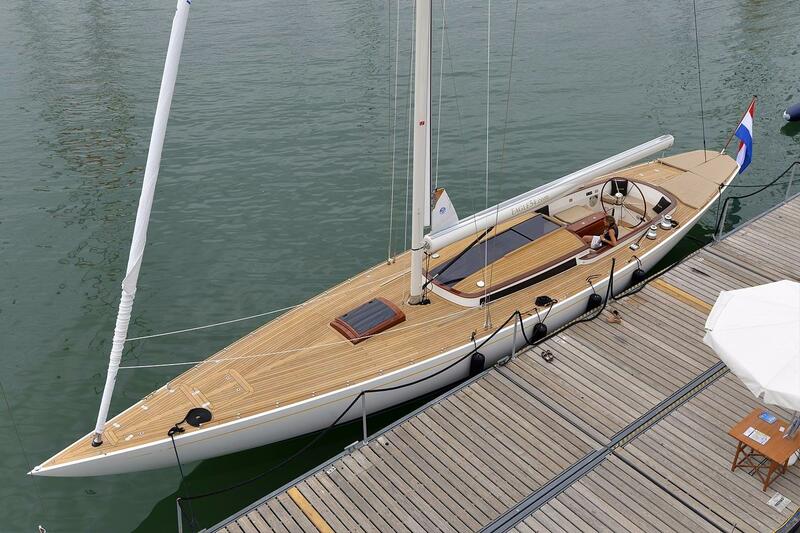 Also the powered headsail furler is mounted below deck. 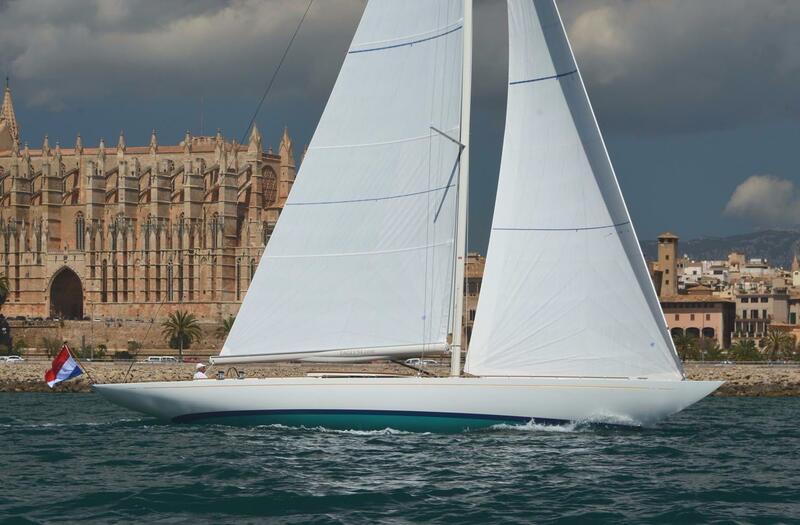 The standard rigging features a carbon mast with an in-boom furling mainsail. 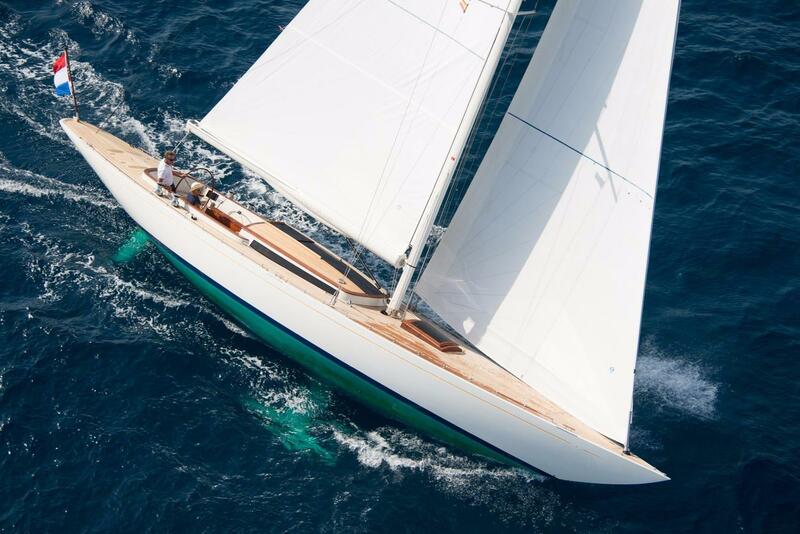 An extensive hydraulic package will allow you to adjust the jib car position, vang and backstay tension all from the helm. 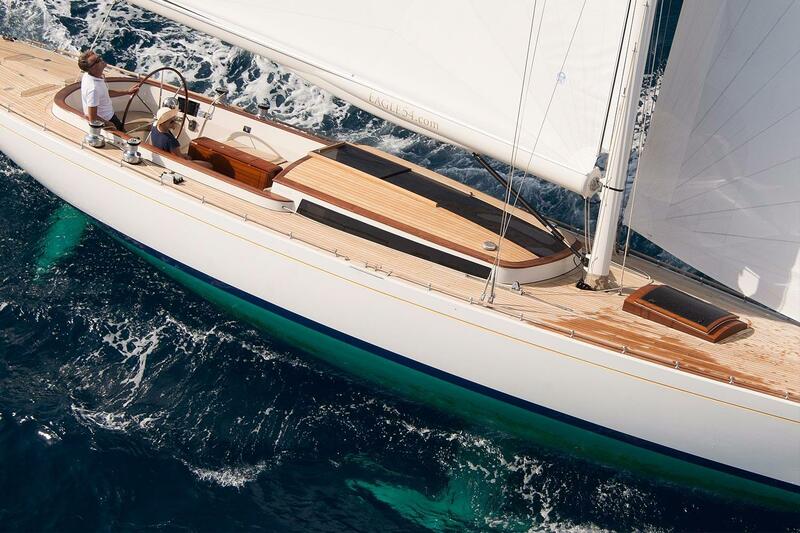 All these systems will ensure the Eagle 54 can be sailed single-handed. 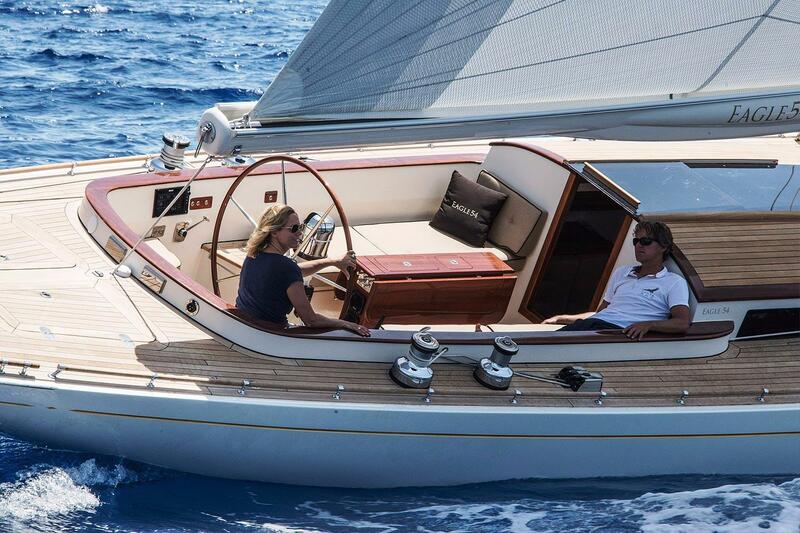 Sailing an Eagle should be uncomplicated fun. 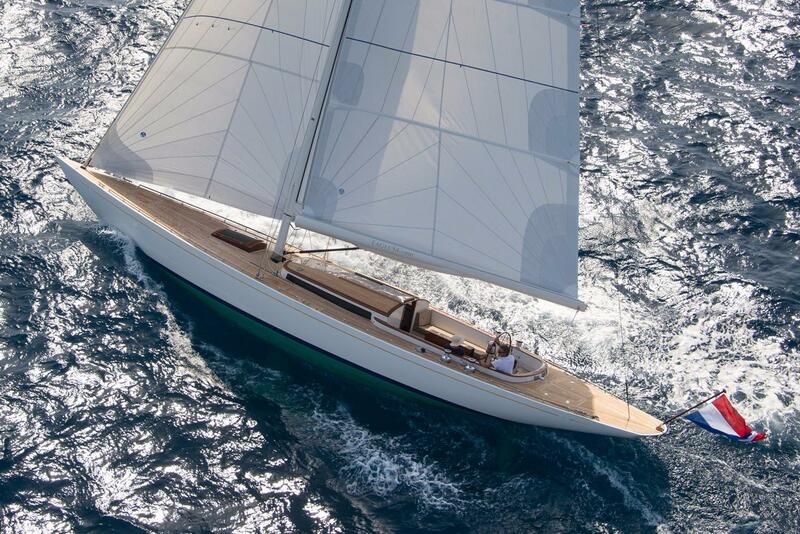 And with only 9 tons displacement the Eagle 54 will turn heads not only by looking beautiful but also because of her sailing characteristics. 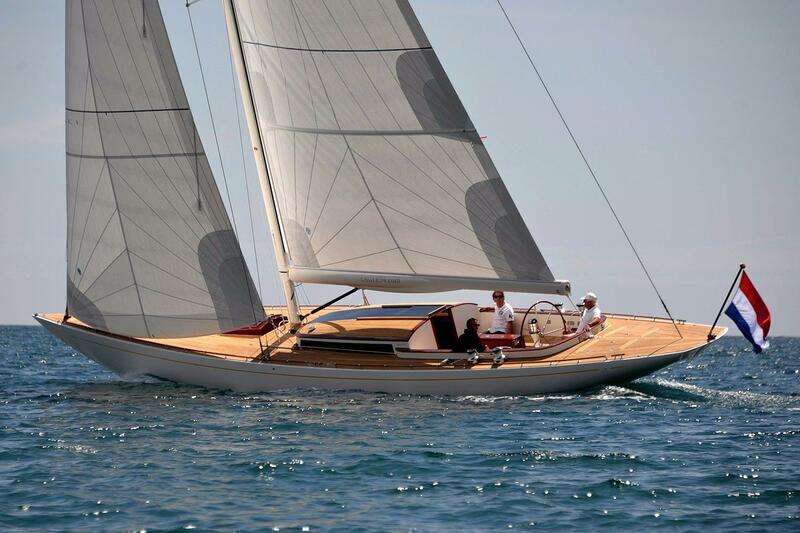 © Copyright 2019 Ashley Yachts. All Rights Reserved.